Knowing how a tankless water heater works can be a deciding factor when you want to make the switch. After all, if you don’t know how it works, how will you know it works? 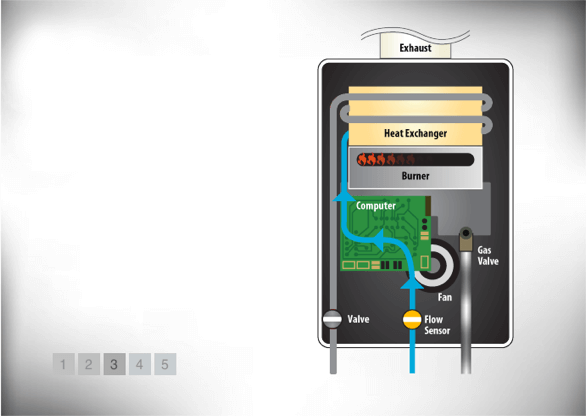 We’ve put together a list of steps to help you understand just how a tankless water heater works. While it may seem obvious, the first step to working your tankless water heater is simply to turn it on. You want to make sure that hot water is flowing through your pipes, this means turning on the hot water. Of course, today that isn’t always a simple explanation. If you have a single knob, be sure to turn it towards the hot water. If you have dual knobs, it’s much simpler. Locate the hot water knob, and turn it to allow the hot water to flow through. So, now that you have the hot water turned on, what should you expect? With a regular water heater, you expect hot water to travel from the tank through your pipes. 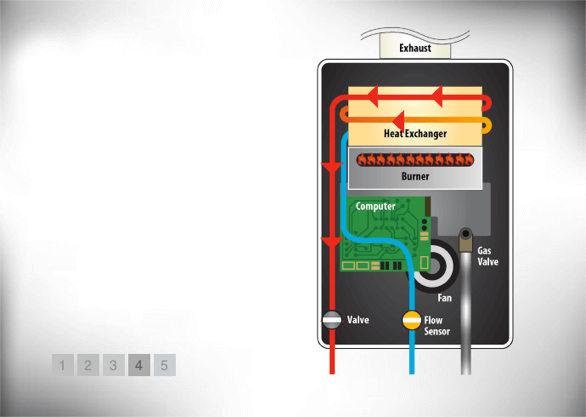 However, with a tankless water heater, cold water actually flows through sensors that trigger the internal computer, and begin the heating process. This leads to our next step. Now that the internal computer has been triggered, it immediately calculates how the burners need to be, in order to heat the water to the perfect temperature. This can be done with a gas burner or an electrical element. Either way, it provides a constant flow of hot water, without having to wait for a tank to fill back up. 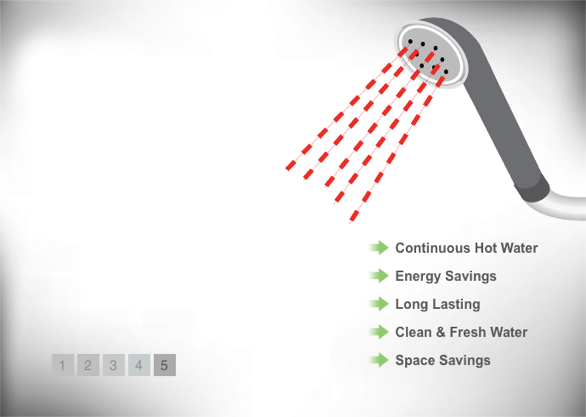 So how does the tankless water heater actually provide all that hot water? After the burner begins heating the water, it circulates around a heat exchanger till it reaches its designated temperature. From there, the water exits the tankless water heater and begins traveling through your pipes till reaching its final destination. With a tankless water heater, you get to enjoy an endless stream of hot water; but that’s not all. Once the demand for hot water no longer exists, the tankless water heater automatically shuts down and stops using energy. Now you get to enjoy energy savings as well as constant and fresh hot water. When making the decision to switch to a tankless water heater, it’s important to know how one works. Along with knowing how it works, you also want to know what the benefits are, as well. The steady stream of hot water is just one benefit. However, the best thing about a tankless water heater is the money you save on energy.